Recreational vehicles do more than just carry you from one place to another; they transport you with an eye toward maximum fun and/or comfort along the way. Just because some of these vehicles are associated with playtime, that doesn’t mean they don’t need the same insurance protection as any other piece of expensive property you own. In fact, they may need more insurance since they also create a potential for liabilities. Your recreational vehicle is, just like an automobile, a moving vehicle that can cause bodily injury and property damage to others. In order to help pay for any damage you inadvertently inflict, you should secure liability insurance. This policy can also help cover the cost of environmental cleanup after an accident that causes the spillage of a toxic chemical or other pollutant. Liability coverage will have limits that work on both a per-incident and per-policy basis. They may also have a deductible that requires an out-of-pocket contribution for each incident or year. 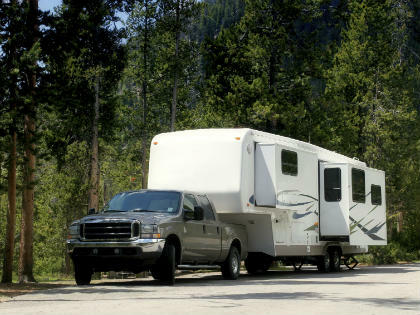 After you’ve considered the potential liabilities you are exposed to while operating a recreational vehicle, it’s time to secure coverage for the value of the vehicle itself. Recreational vehicle coverage can include financial compensation in the event of physical damage, vandalism, theft and collision. In addition, your policy may allow for reimbursement of personal effects stored on a vehicle such as an RV, boat or snowmobile. In some cases, you may want to consider adding specialized coverage for additional risks including the loss or damage of awnings and custom equipment. If you have an RV that you live in part or full time, you may need extended protection so be sure to discuss that with your agent.